Kyle is the Pie Capital of Texas™! This brand is part of our overall tourism program to encourage visitors to come to Kyle. Visit the Pie Capital of Texas™ and explore our history, enjoy the food (including pie! ), catch some live music, fish and picnic at Lake Kyle or just relax. Check the list below for some ideas about how to enjoy your time here in Kyle. Train Depot — Stop by the Historic Kyle Train Depot and Heritage Center, open by appointment or each Saturday. Watch the excellent documentary videos and take a tour of the fully restored building. The restored caboose will soon be open for viewing as well. Lake Kyle— Enjoy fishing (catch-and-release), picnics, a playscape, wash pits. In summer we offer free movies at the lake. Kyle Market Days — 2nd Saturday of the month, April-September. Takes place from 9 a.m.-1 p.m. in City Square Park in downtown Kyle. Visit local cemeteries, including Kyle Cemetery, which has lots of history and even some ghost tales. See the Claiborne Kyle Log House — the original home built by Claiborne Kyle (whose son Fergus Kyle is for whom the town in named after) open to the public several times a year or by appointment. Download the Texas Historical Commission app for historical markers and visit the ones in Kyle. 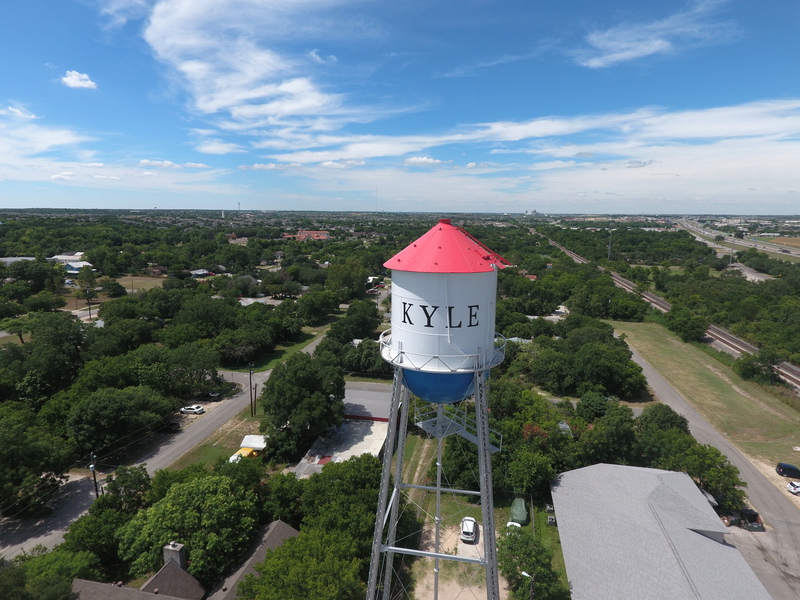 Geocaching — The Kyle Chamber offers a fun geocaching program. Their new coins will have the Pie Capital of Texas logo!